Yes! You read that correctly, a pool of 100 million plastic sprinkles has presented itself in Miami’s annual Art Basel! Enter this 10-roomed ice cream museum and experience the magic of all things frozen and creamy. 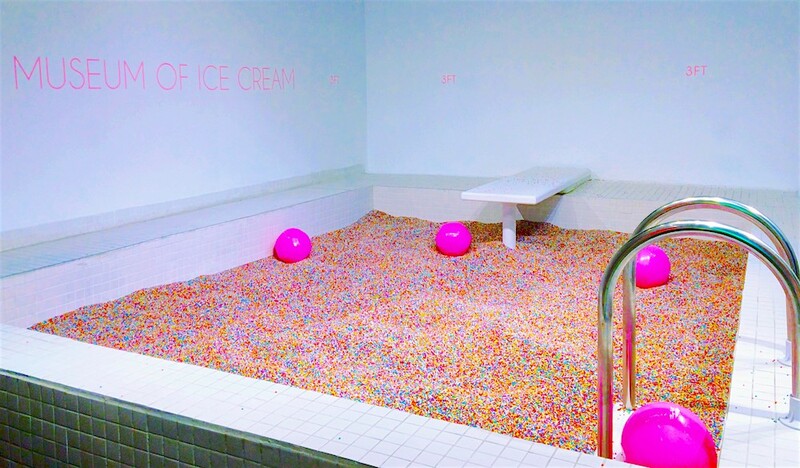 The ice cream ping-pong offered is nothing compared to the diving board infused, beach ball filled, plastic sprinkle pool. It’s the perfect touch of fun for your experience at Miami’s Art Basel. If you’re looking for the Disney World of ice cream, you better believe South Florida has it. Pick-up an ice cream name, and enjoy a visit to the new ice cream museum.